Are we alone? NASA's new planet-hunting mission, poised to launch Monday, aims to advance the search for extraterrestrial life by scanning the skies for nearby, Earth-like planets. The Transiting Exoplanet Survey Satellite, or TESS, is poised to blast off at 6:32 pm (2232 GMT) aboard a SpaceX Falcon 9 rocket from a NASA launchpad in Cape Canaveral, Florida. The $337 million washing machine-sized spacecraft is built to search the nearest, brightest stars for signs of periodic dimming. These so-called "transits" may mean that planets are in orbit around them. Its discoveries will be studied further by ground- and space-based telescopes for signs of habitability, including rocky terrain, a size similar to Earth and a distance from their sun—neither too close nor too far—that allows the right temperature for liquid water. TESS will survey far more cosmic terrain than its predecessor, NASA's Kepler Space Telescope, which launched in 2009, taking in some 85 percent of the skies. "TESS is equipped with four very sensitive cameras that will be able to monitor nearly the entire sky," said George Ricker, TESS principal investigator at the Massachusetts Institute of Technology (MIT). 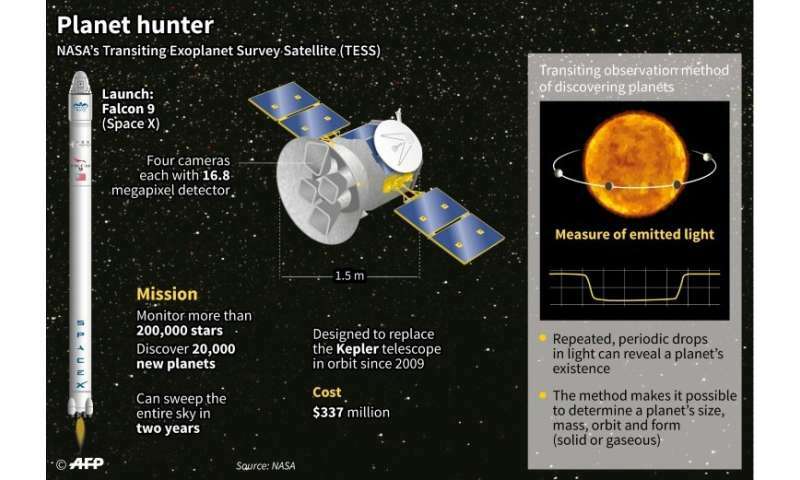 "That is about 20 times what the Kepler mission was able to detect." Kepler, the first planet-hunting mission of its kind, "was launched to answer one single question: How common is a planet like Earth around a star like the Sun?" said Patricia "Padi" Boyd, director of the TESS guest investigator program at NASA's Goddard Spaceflight Center. "It was designed to look at 150,000 stars in a fairly wide field of view without blinking, for four years," she told reporters on the eve of the launch. "One of the many amazing things that Kepler told us is that planets are everywhere and there are all kinds of planets out there. "So TESS takes the next step. If planets are everywhere, then it is time for us to find the planets that are closest to us orbiting bright nearby stars, because these will be the touchstone system." 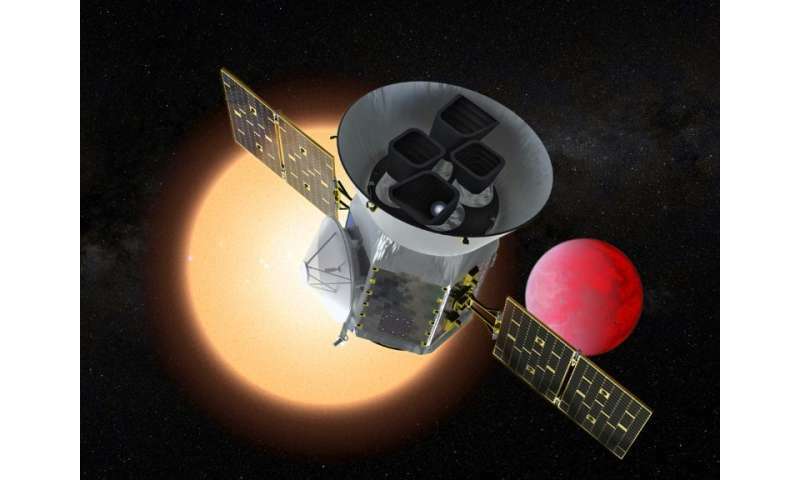 "TESS is going to dramatically increase the number of planets that we have to study," said Ricker. "TESS is the first step," said Stephen Rinehart, TESS project scientist at NASA's Goddard Spaceflight Center.